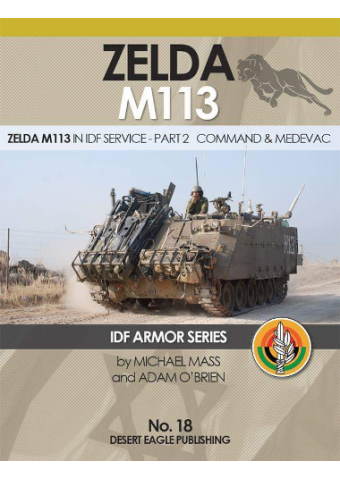 IDF ARMOR SERIES No 18: ZELDA M113 IN IDF SERVICE - PART 2: COMMAND & MEDEVAC. 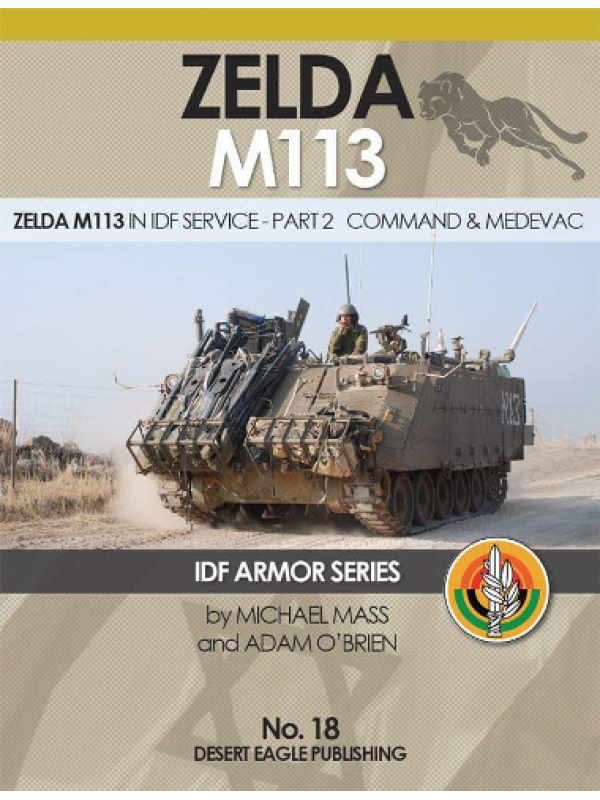 The book covers the M113 Zelda family story, as the Command (Pikud) and Medevac (Pinuy) versions, with many in-action, insignia and more, all in full color genuine photography. Περιγραφή: Σελ. 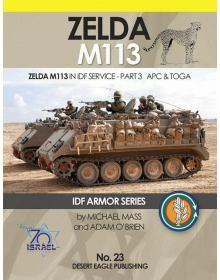 84, μαλακό εξώφυλλο, μέγεθος Α4, περίπου 180 έγχρωμες φωτό. Κείμενο στα αγγλικά. 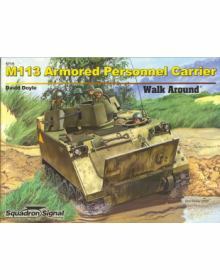 The M113 family of vehicles is arguably the most successful series of armored personnel carriers of ..